Banc of California Stadium is a soccer-specific stadium under construction in the Exposition Park neighborhood of Los Angeles, California. 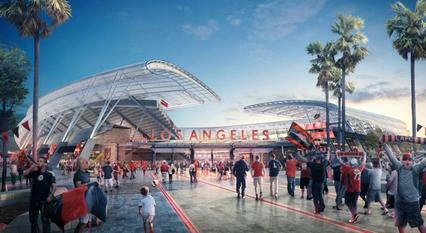 It will be home of the expansion Major League Soccer team Los Angeles FC. Being constructed on the site of the former Los Angeles Memorial Sports Arena, it is located next to the Los Angeles Memorial Coliseum and just south of the campus of the University of Southern California. Helou Construction is contracted for glass and glazing installation at this state of the art sports complex.